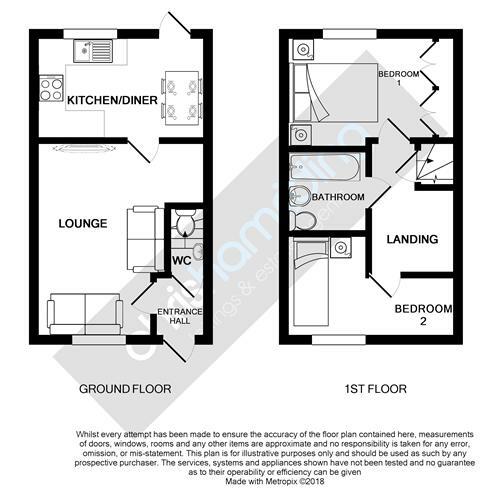 **LET (STC) ACT FAST TO SECURE THIS QUALITY PROPERTY IN AN AREA OF CONSTANT DEMAND** Sorry, no pets, benefits, CCJ's, smokers or sharers. 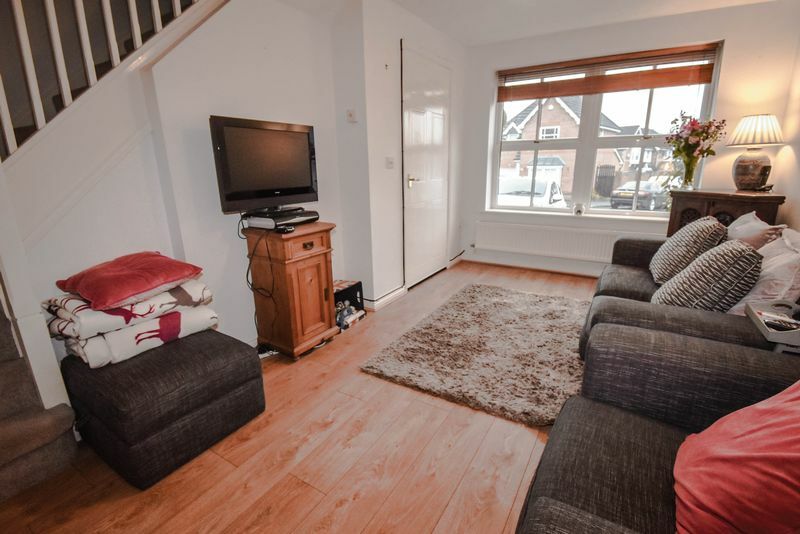 A superb, modern, and well-presented semi-detached home, with a pleasant interior which features modern kitchen and bathroom suites, PVC double glazing and gas fired central heating. 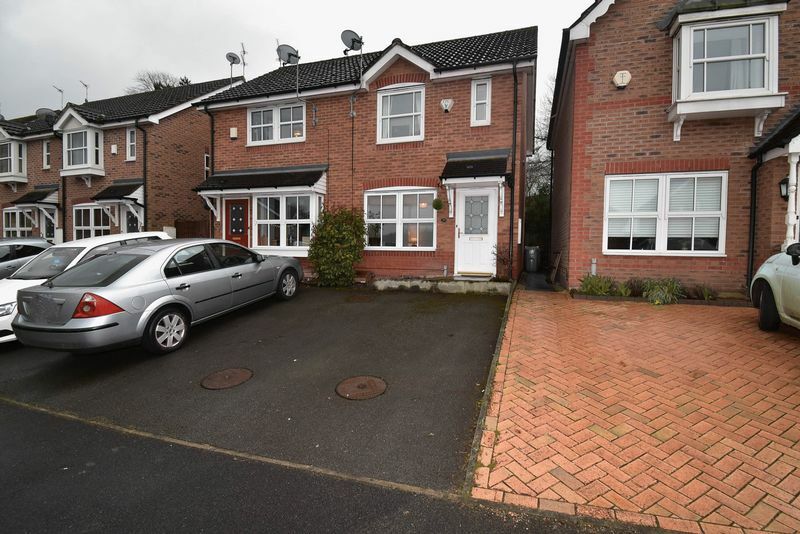 Situated in a convenient and highly popular residential estate, the property is within walking distance to Congleton Town Centre and the excellent Congleton Retail Park. 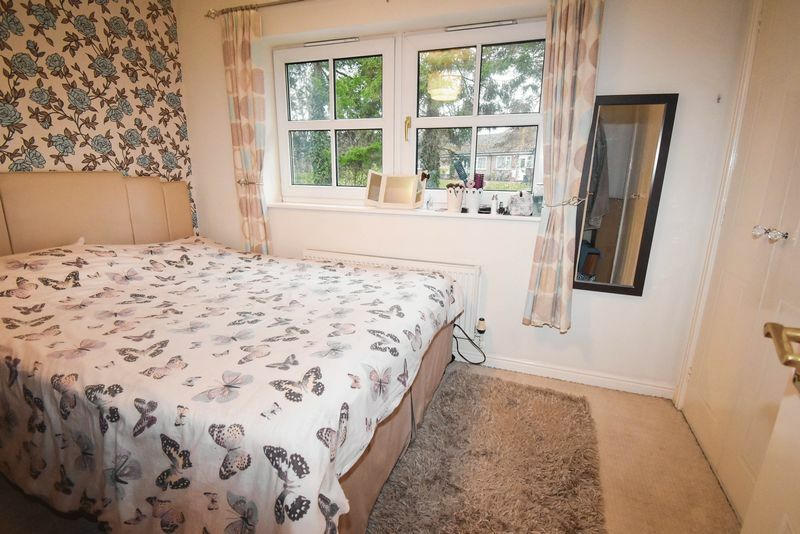 Briefly, the property comprises: entrance hall with attractive external door; ground floor WC; lounge; rear dining kitchen; landing; two good sized bedrooms; bathroom; frontage with driveway parking; landscaped rear enclosed garden which is flanked by attractive mature trees. 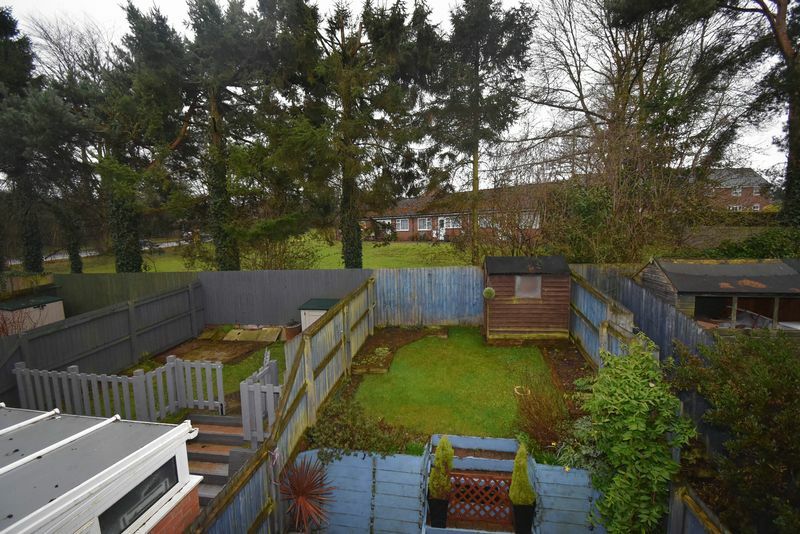 The property is situated on a no through road on the popular Woodlands Park development. Access to the A34 is close by enabling excellent road links to all major routes. Many local shops, public houses and restaurants are within walking distance. A pathway at the end of the road cuts through to the A34 which saves you having to walk through the estate. Feature external door. Slate tile effect flooring. Access to the lounge and ground floor WC. 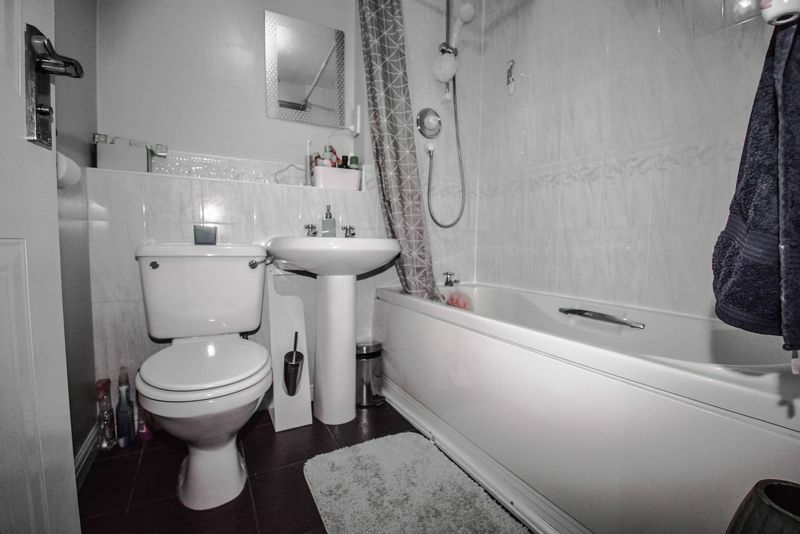 Modern and attractive essential ground floor WC suite. Huge benefit and bonus to any household. Also useful for cloaks and pram storage if required, to keep the hallway free. PVC double glazed window. Attractive staircase to the first floor. 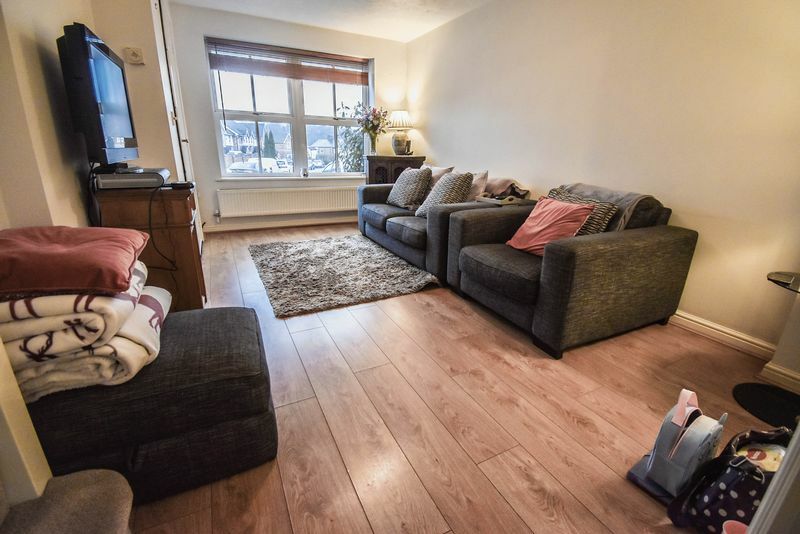 Easy to live with oakwood style laminate flooring, which is ideal for renters being hard wearing and always looks great. Access to the dining kitchen. Smart room with a modern oak effect Shaker style modern kitchen suite. 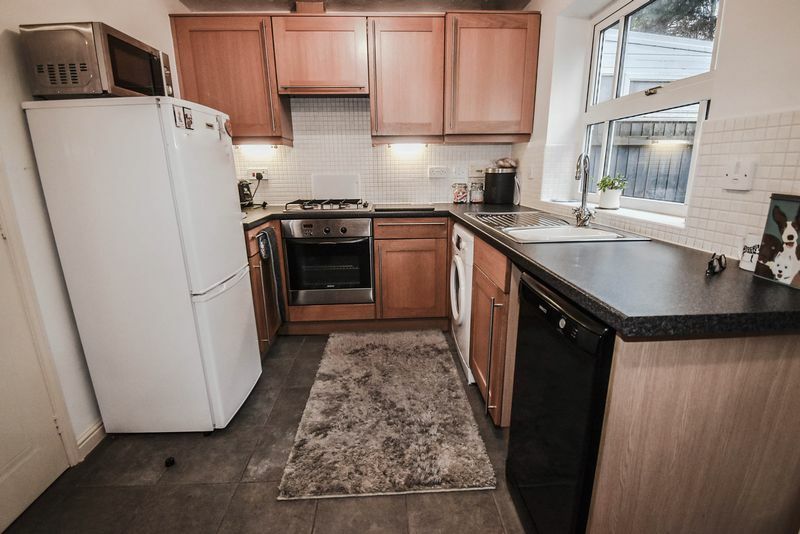 Built in good looking modern cooking facilities and space for white goods. Hard wearing stone tile effect flooring. Feature glazed door opening out to the rear garden. With PVC double glazed window to the side. 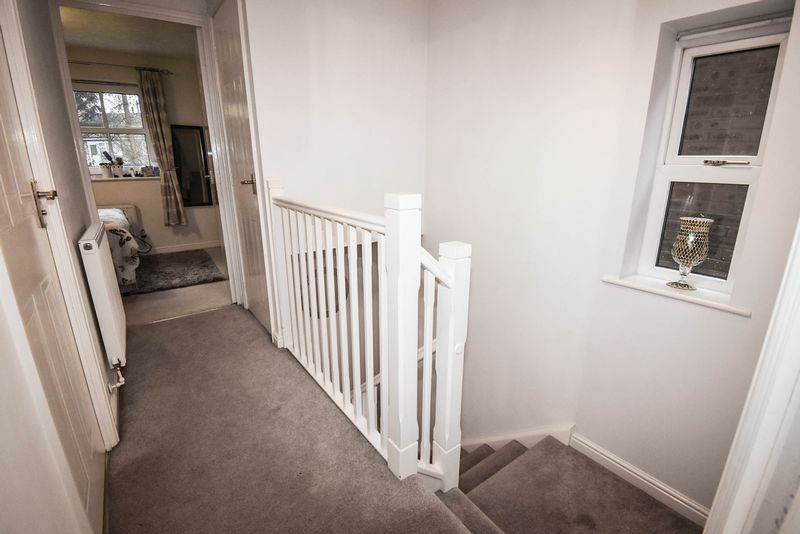 Modern white panel style doors and attractive balustrade. Access to the bedrooms and bathroom. PVC double glazed window to the rear. 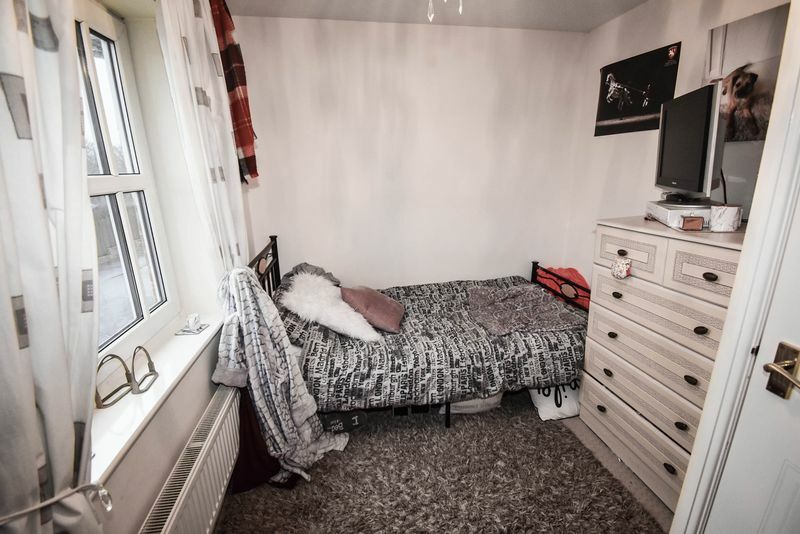 Great to have the main bedroom on the rear for enhanced privacy and noise reduction. 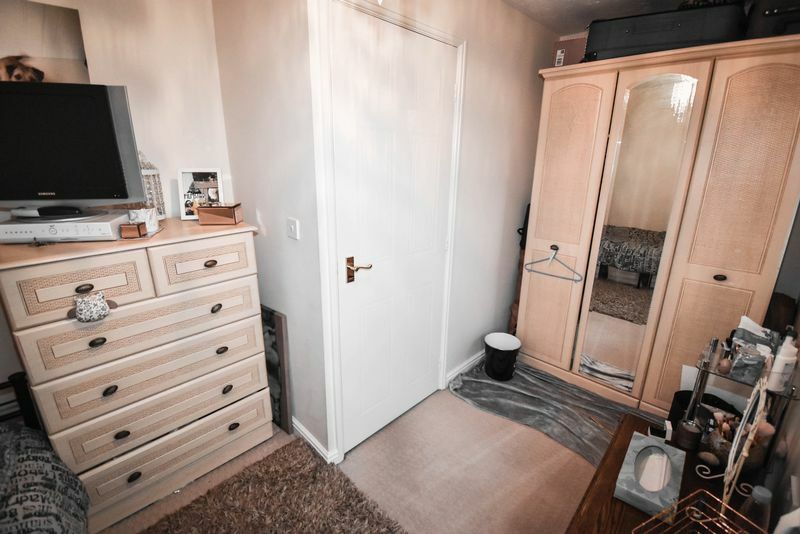 Superb wall to wall built in wardrobes, two sets of twin wardrobe doors. PVC double glazed window to the front. 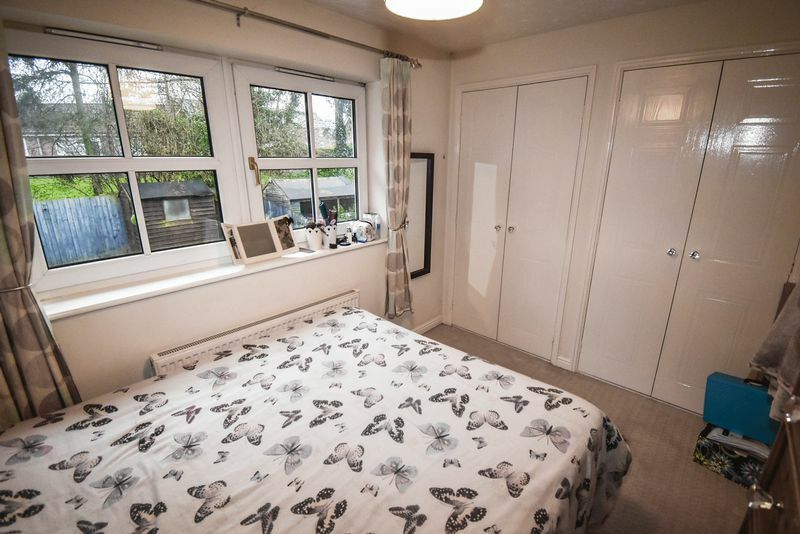 Decent L shaped 2nd bedroom with space for a bed and furniture or a PC station. Superb and well equipped luxury bathroom. The bathroom has a bath with a thermostatic Mira shower over, WC, Pedestal sink, chrome taps. There are marble style tiled walls and a slate tile effect floor. 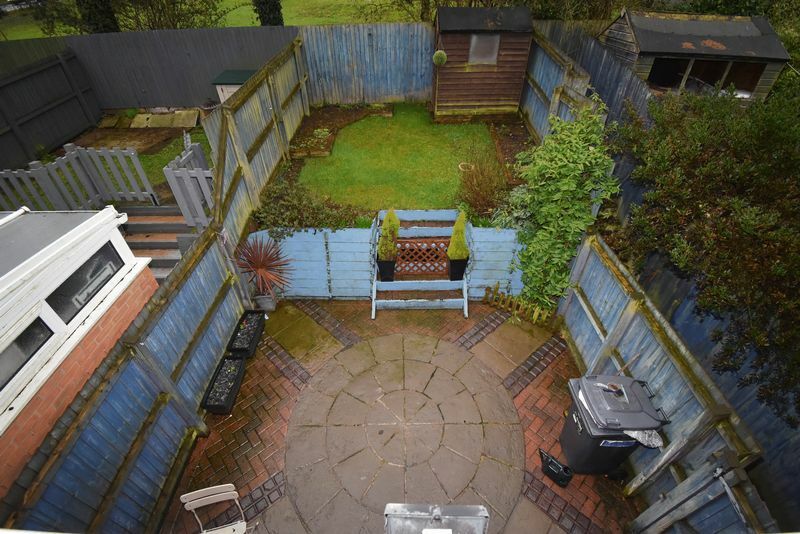 Driveway parking to the front, gated access path at the side and a fully enclosed attractive landscaped rear garden.